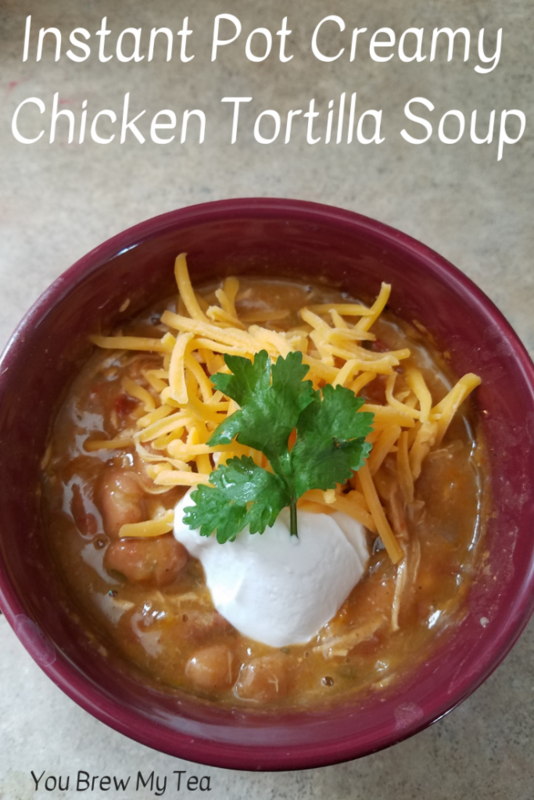 We love this Instant Pot Creamy Chicken Tortilla Soup. 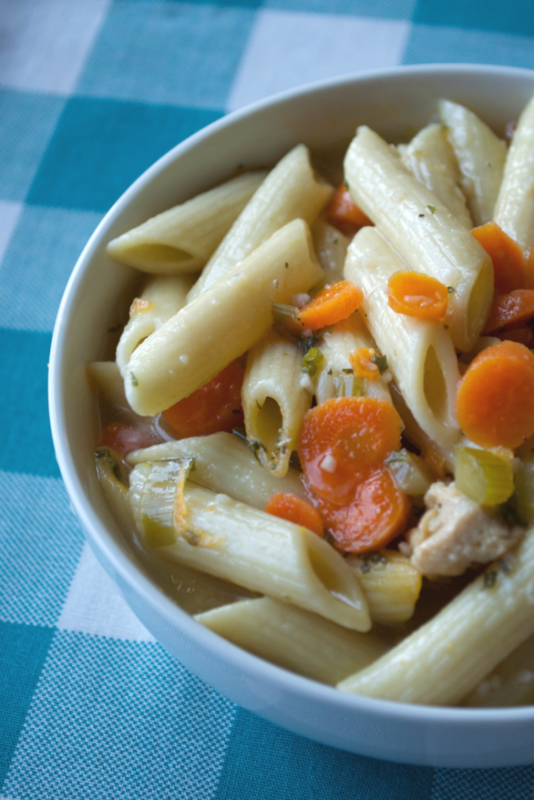 It is a super easy recipe that packs a ton of flavor without being too spicy for the kids. You can easily make a large batch and portion it out for a fast and easy low point lunch throughout the week! 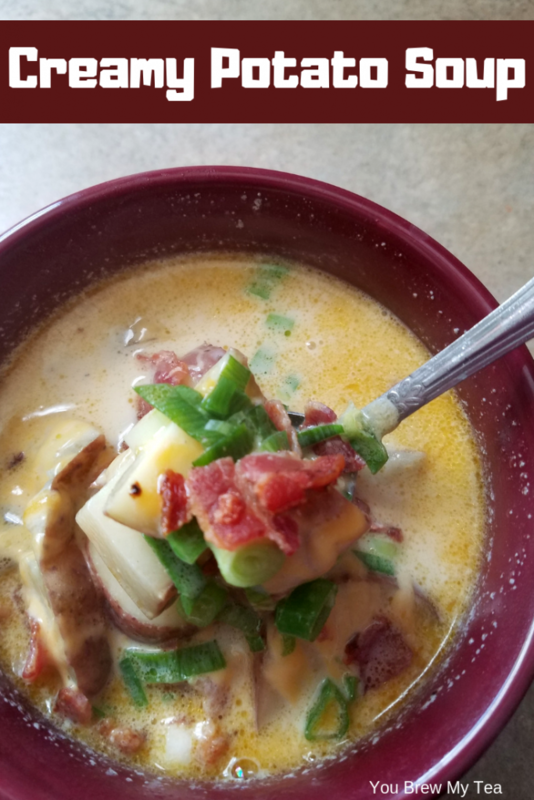 I’m a huge fan of easy soup recipes that are also low in points for my Weight Watchers journey. As I transition to eating more whole foods and fewer low-fat items, I am looking for recipes that are satisfying but still manage to stay low in points. This is one of my new favorite options. I use real sour cream, but you can easily use the zero point nonfat Greek yogurt instead if you prefer. 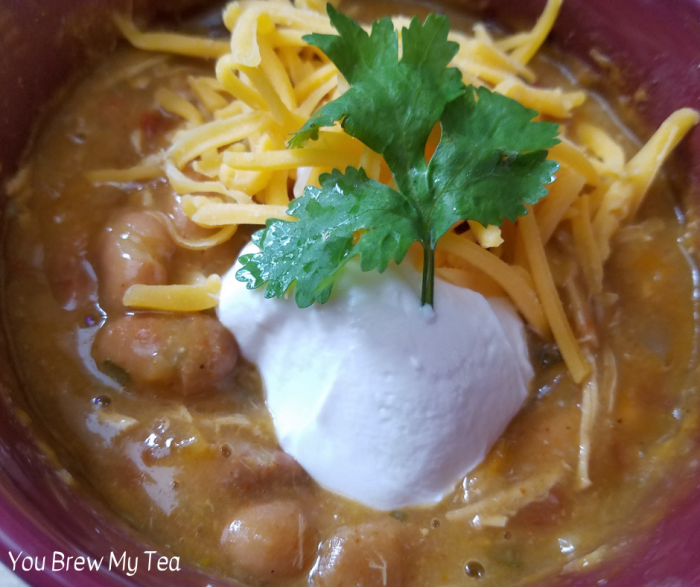 We use the Instant Pot DUO60 6-quart 7-in-1 for most of my Instant Pot recipes, including the one below. 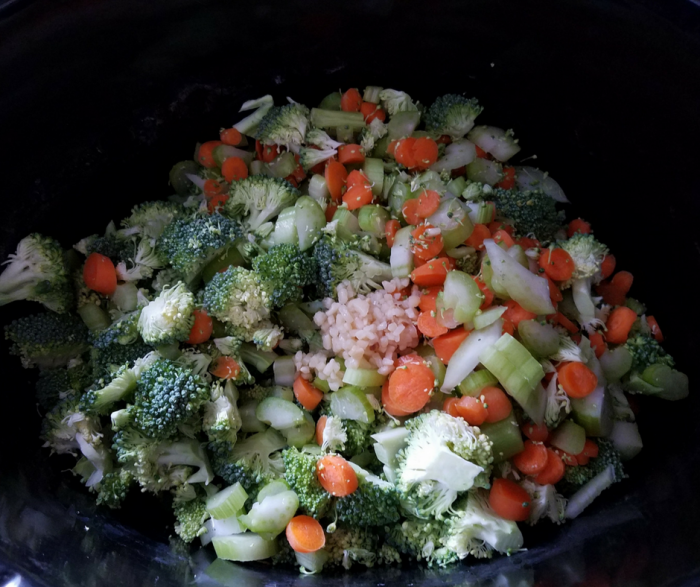 Any electric pressure cooker will work for this recipe, just make sure it is large enough and you follow the manufacturer’s directions. Add the chicken, enchilada sauce, broth, pinto beans, tortillas, and salsa into Instant Pot Liner and mix well. Next, place the lid on your Instant Pot and set to seal. Cook on manual for 5 minutes. When done cooking, quick release pressure. 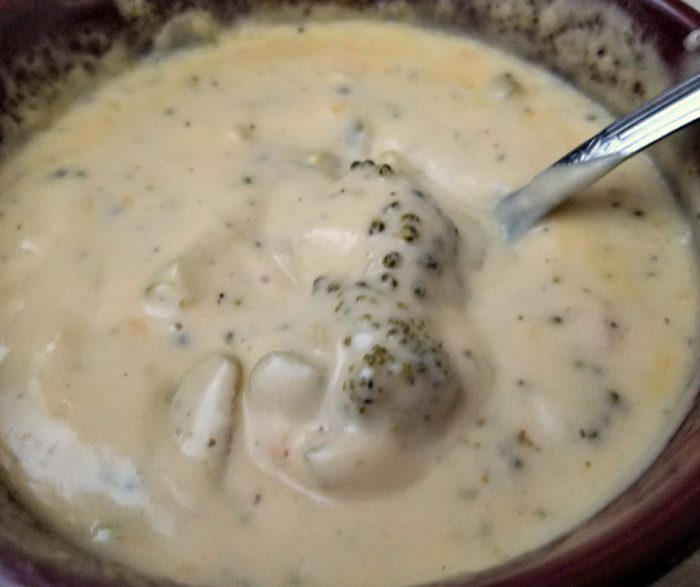 Stir in sour cream and serve with toppings of your choice. 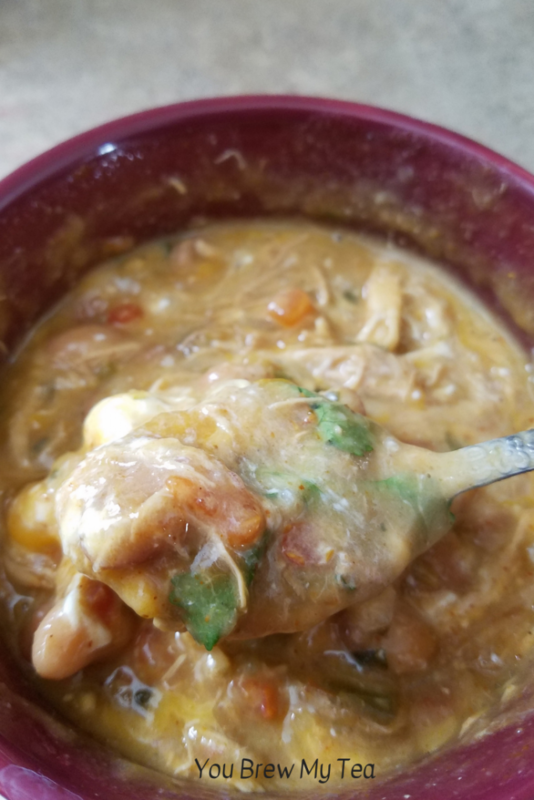 Place chicken, enchilada sauce, broth, pinto beans, tortillas, and salsa into Instant Pot Liner and mix well. 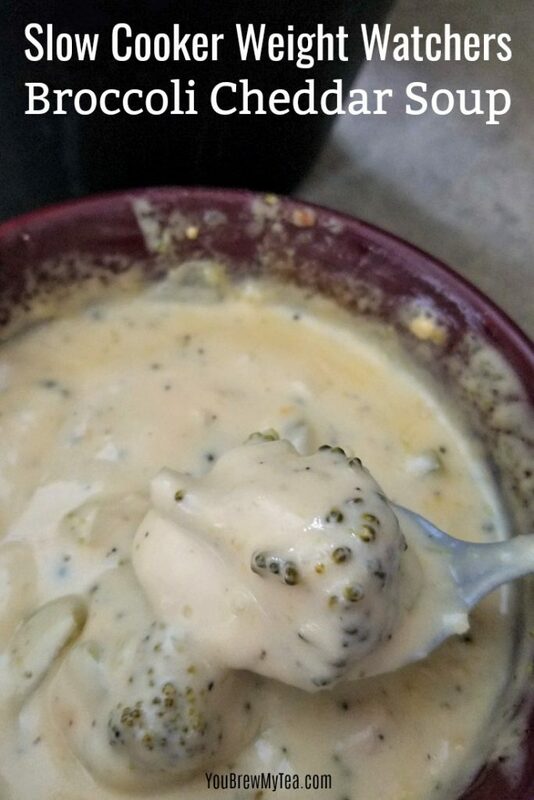 Note: Additional toppings should be pointed out separately from soup as desired and measured. 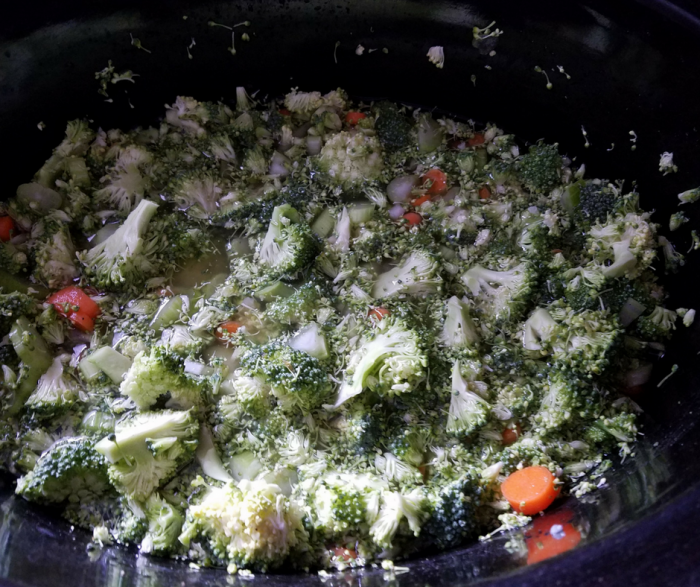 If you don’t have an Instant Pot, you can easily cook this on the stovetop or even in your favorite slow cooker. This is a very versatile recipe that fits into your preferences easily. 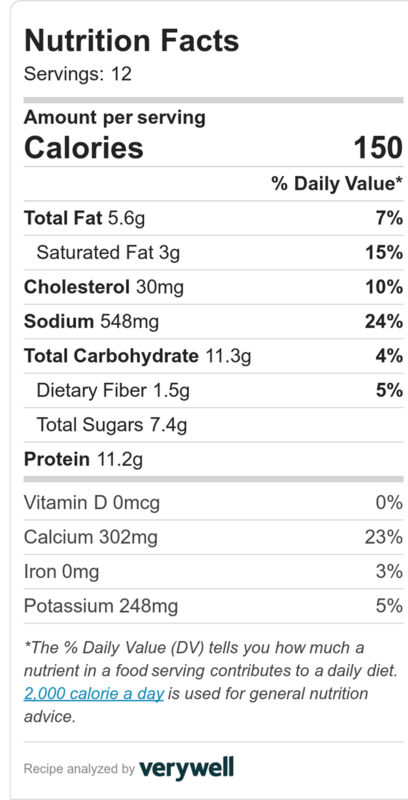 For those following the WW FreeStyle Plan, you can also add in corn or black beans for no additional points per serving! Slow Cooker: Place all ingredients except sour cream into slow cooker. Mix well and cook on low heat for 3 hours. Stir in sour cream prior to serving. 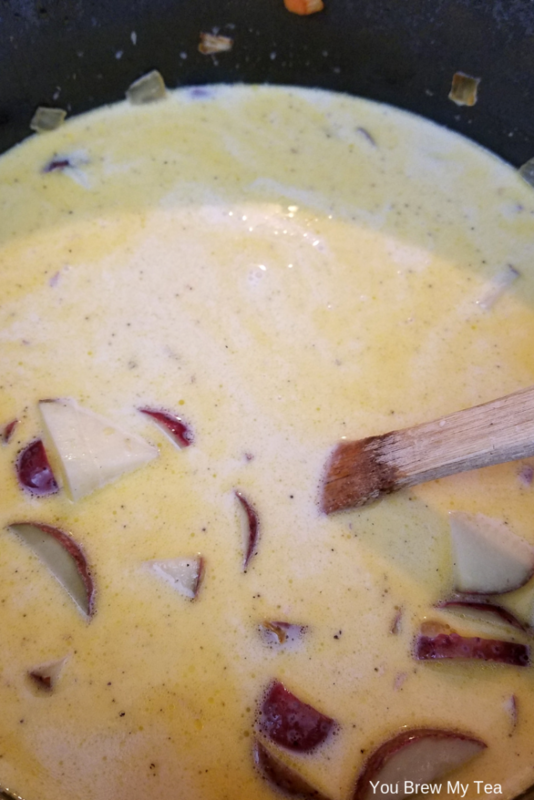 Stovetop: Add all ingredients except sour cream into a large stockpot. Simmer on medium-high heat for 25 minutes stirring occasionally. Remove from heat, add in sour cream and mix well before serving. 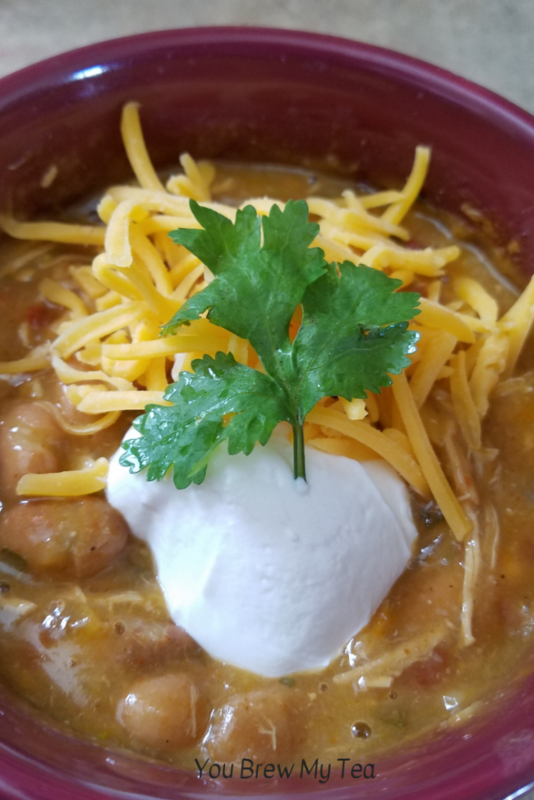 If this delicious and easy creamy chicken tortilla soup isn’t what you are looking for tonight, check out some of our other favorite WW friendly soup recipes. There are tons of options on this list that will satisfy your cravings, and be easy to make. Slow cooker, stovetop, and Instant Pot options are all great and easily fit into your daily points allowance. 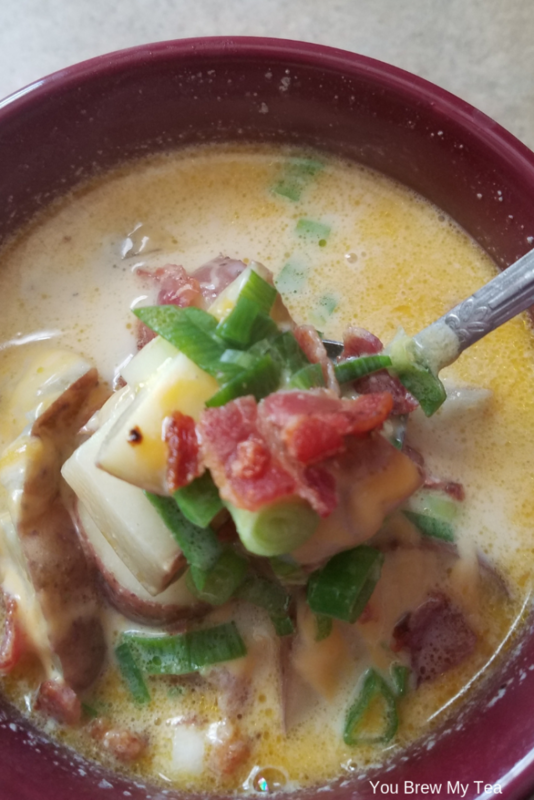 My Creamy Easy Potato Soup Recipe is going to change your meal plan entirely. 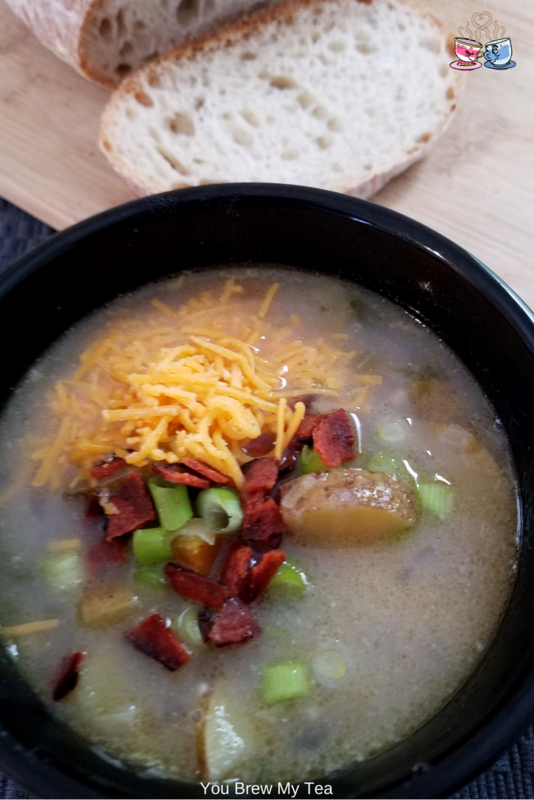 This delicious soup has been a standard in our home for at least the last five years. Making it healthier has been my goal, but I didn’t want to pass up the flavor. The compromise below is now a favorite option that comes in at a lower fat, calorie, and points total. This post contains affiliate links. I earn a small commission on purchases made from these links. 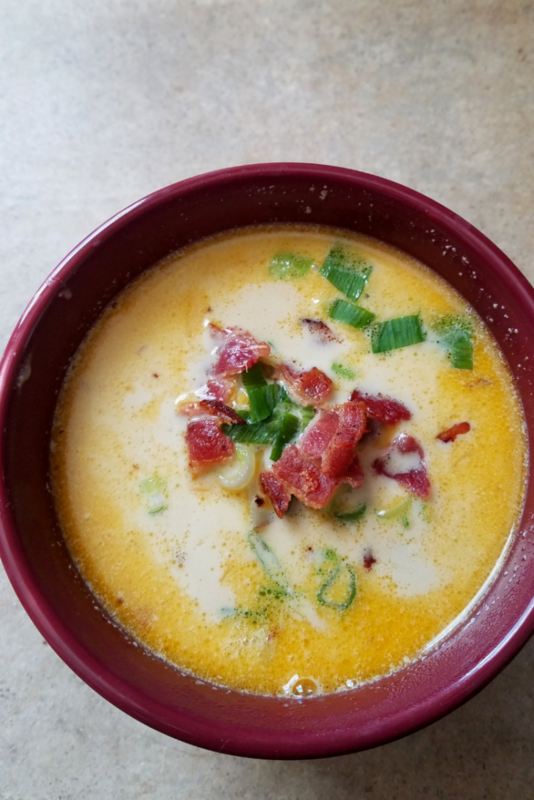 I tried to get away from the bacon in this recipe, but it just adds flavor that is needed. 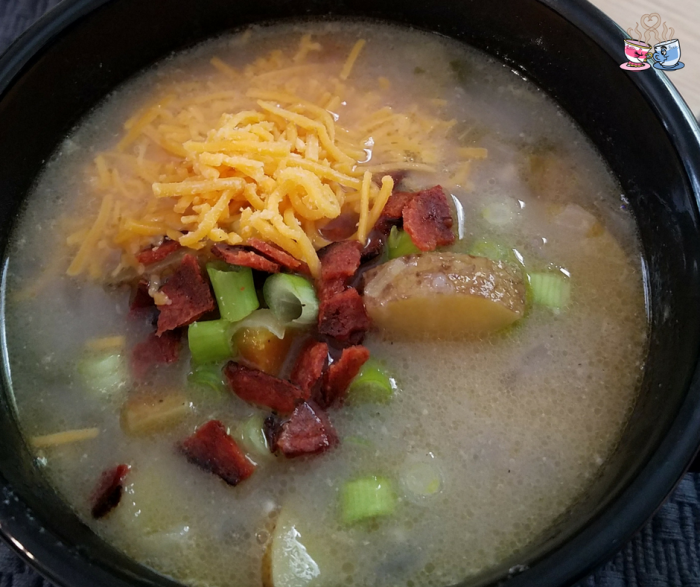 We use center cut bacon for this recipe since it is lower in points and has more eat. 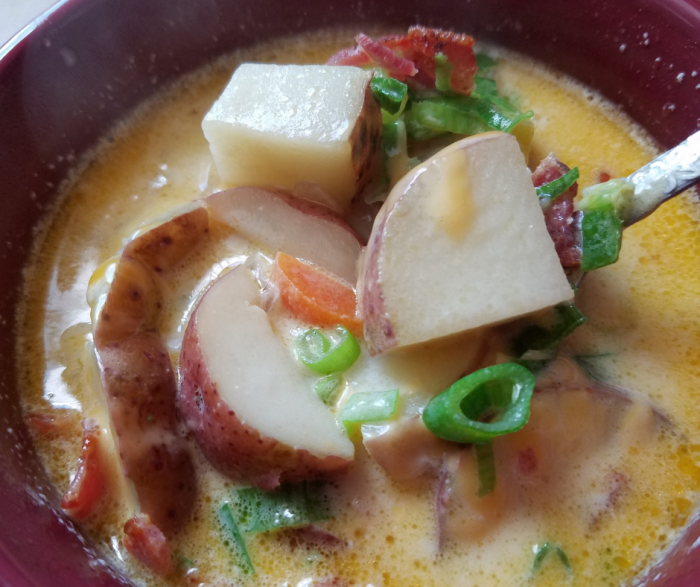 You can use any type of potato, I just prefer the baby red potatoes since they tend to hold up to cooking better than other types. Feel free to adapt as you prefer for your own preferences. In a large stockpot, cook bacon until crisp. Set bacon aside and pat excess grease from bacon. Drain the bacon grease from the bottom of the stockpot leaving 1 tablespoon in the bottom of the stockpot. Reduce heat to medium, and add in diced onion, diced carrots, diced celery, and minced garlic. Cook over medium heat for an additional 5 minutes or until beginning to become tender. Add in the potatoes, water, chicken broth, black pepper, salt, and onion powder. Stir well and simmer for 10 minutes. Add in half and half, and stir well. Continue cooking on medium heat for 20 minutes, stirring occasionally. Add 1 tablespoon shredded cheddar and diced green onions along with 1 piece crumbled bacon on top of each serving. Since this is such a delicious and large portion of soup, I typically don’t need anything alongside it for a full meal. You can easily add the crumbled bacon or some shredded cheddar. 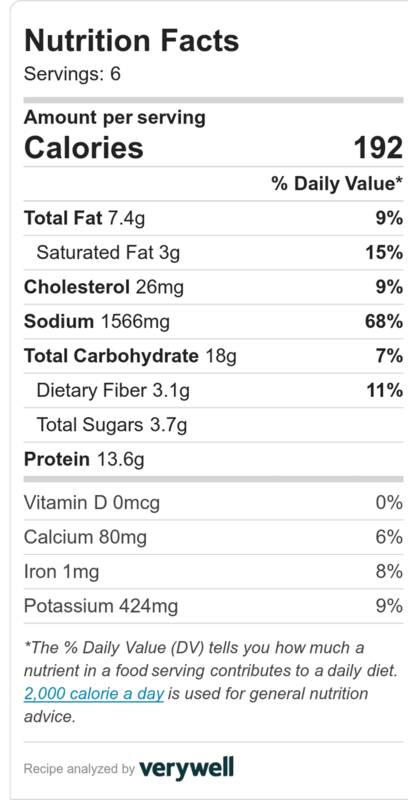 Just remember anything you add to the soup will increase the points as listed above. If you want a nice side of our Weight Watchers cornbread recipe or some crackers you have room in your points to add that. A half serving would also be a great choice alongside some grilled fish or chicken! 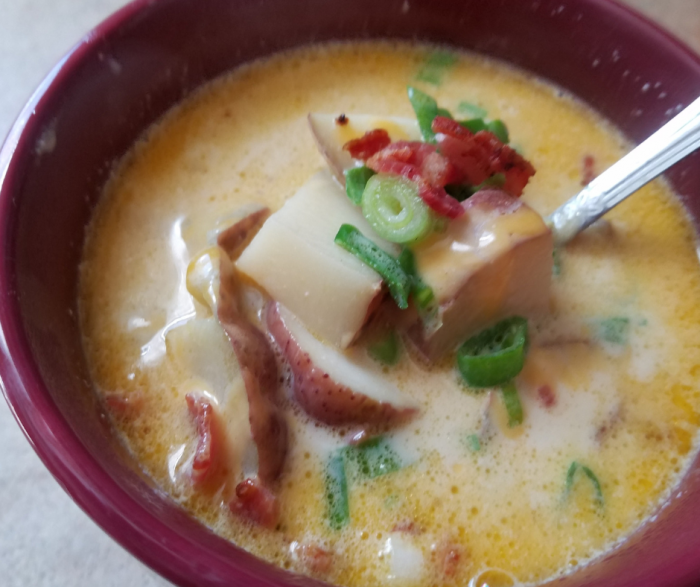 Make our creamy easy potato soup recipe in just a little more than 30 minutes. 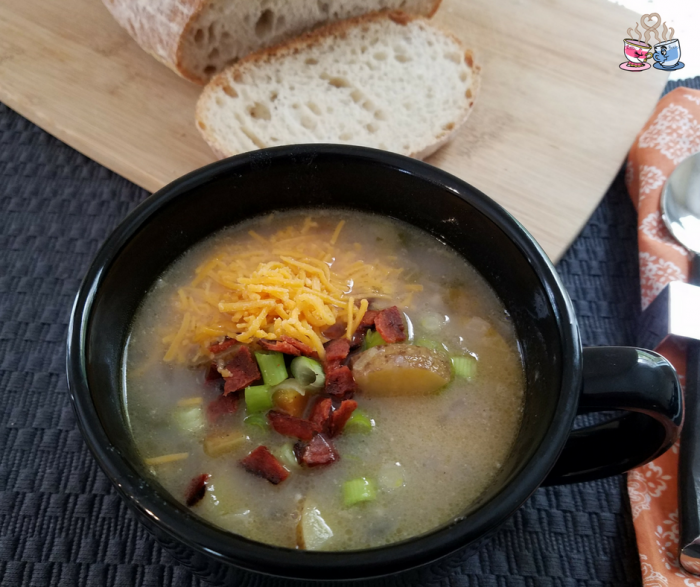 This is an ideal comfort food recipe that makes 8 generous portions, so is perfect for the whole family or for lunches throughout your work week. If you are looking for more Weight Watchers support don’t miss out on joining our WW Facebook Group! 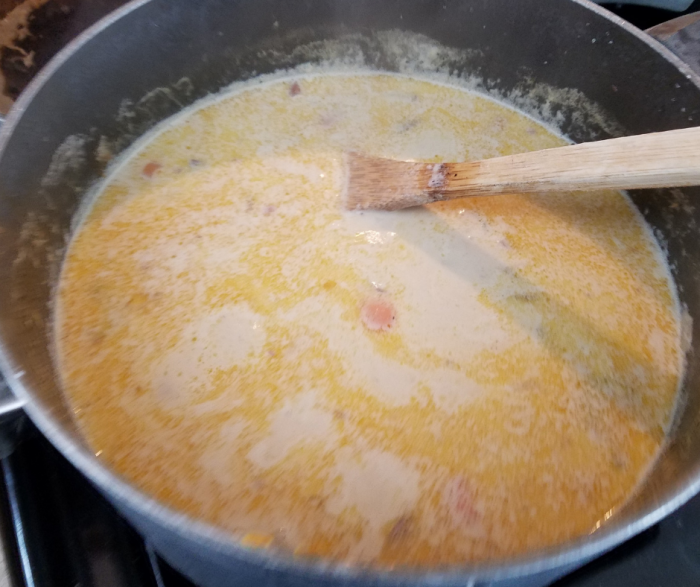 Emilee recently shared this Lemon Chicken Noodle Soup from Scratch recipe that is delicious and a perfect cold weather soup you’ll love. 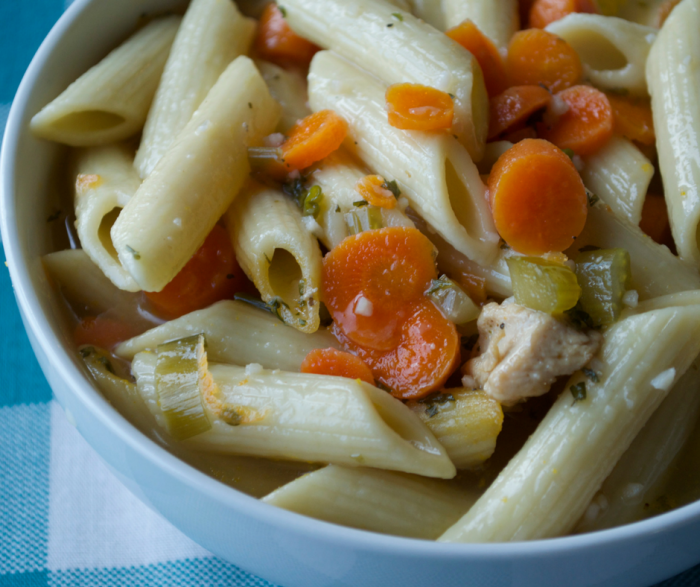 If you are tired of the classic chicken noodle soup recipes, then this is a fun change that everyone in your home will love! This post contains affiliate links. I earn a commission from purchases made through these links. We always love having a good chicken noodle soup from scratch, but sometimes, you get tired of that same old flavor profile. Adding a bit of additional seasoning and lemon makes this one of those amazing recipes that change up the menu plan while still giving you a healthy meal. Using this to follow the Weight Watchers plan is also a great idea. It’s such a low point meal, you will absolutely love it! In a non-stick skillet, stir-fry the chicken until browned. You may use a bit of non-stick spray or water if needed to prevent from sticking to the pan. Sprinkle the meat with some Montreal Steak Seasoning while cooking, for added flavor. Pour the chicken broth & the bouillon cube into a large saucepan over medium heat. Add the cooked chicken, celery, carrots, & garlic into the saucepan. 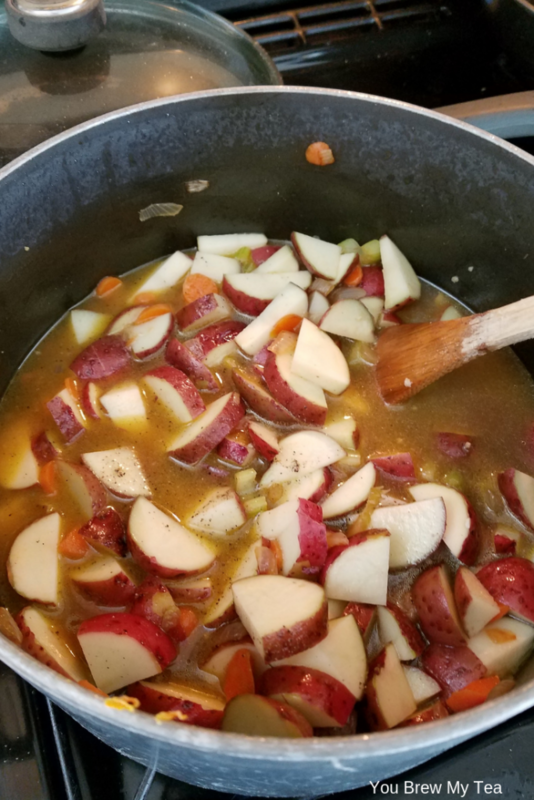 Bring to a boil and simmer until the carrots are tender (approximately 15 minutes). Add the pasta and cook until tender. Add parsley, lemon zest, lemon juice, and green onions. Simmer for additional 5 minutes. In a non-stick skillet, stir-fry the chicken until browned.You may use a bit of non-stick spray or water if needed to prevent from sticking to the pan. Add the cooked chicken, celery, carrots, & garlic into the saucepan. Bring to a boil and simmer until the carrots are tender. This will take approximately 15 minutes. 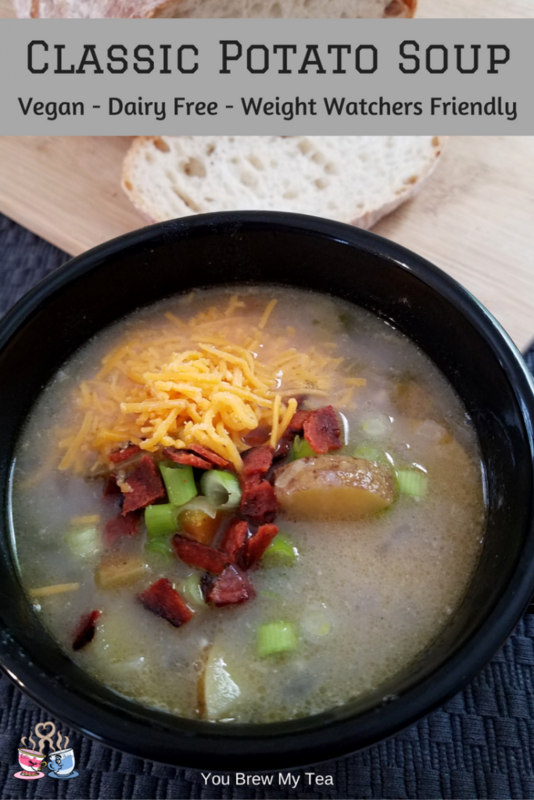 On the latest update to Weight Watchers, the fact that chicken breast and vegetables are zero points makes it so easy to enjoy a large bowl of soup with no guilt. 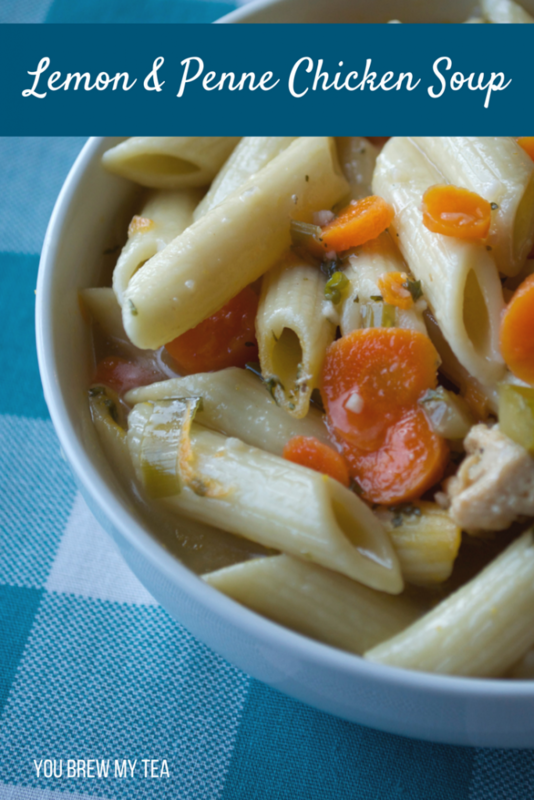 Using low-fat or fat-free chicken broth keeps this lower point value, and of course, we opt for whole wheat pasta in this chicken noodle soup from scratch. We have heard great things about the Carba Nada brand of pasta and know if you use it, your points will be even lower.